We are grateful to have the opportunity to work with 4RM+ULA on Great River Landing. As we work on projects, it’s always intriguing to hear how each project got started and in the end, hear about the changed lives and community. 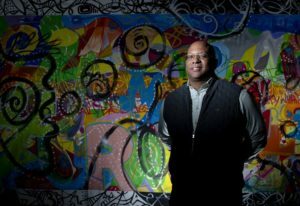 This article shares a little about James Garrett Jr. and his goals and dreams, along with others at 4RM+ULA, for this new North Loop supportive housing.